We’d love your help. Let us know what’s wrong with this preview of Amped by Tina Reber. To ask other readers questions about Amped, please sign up. Is there a release date for this yet? 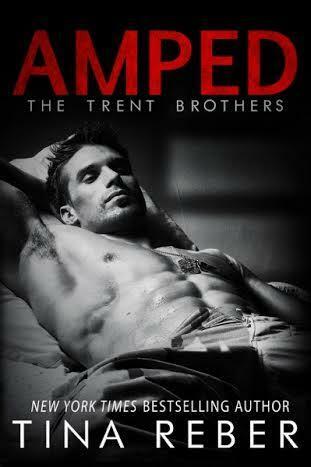 after reading Jacked I am so excited for Amped; Jason Trent's story!!! Cannot wait for this to be released!! Jason Trent's story... Adam's baby brother! I am a New York Times and USA Today bestselling author of adult contemporary romance. I'm so glad you've stopped by and/or have sent me a friend request. Unfortunately,I get quite bogged down on a daily basis and tend not to respond to direct messages to me on GR. I answer all messages sent to me on my Facebook author page: http://facebook.com/authortinareber. All of my latest information can be f I am a New York Times and USA Today bestselling author of adult contemporary romance. I'm so glad you've stopped by and/or have sent me a friend request. Unfortunately,I get quite bogged down on a daily basis and tend not to respond to direct messages to me on GR. I answer all messages sent to me on my Facebook author page: http://facebook.com/authortinareber. All of my latest information can be found on my website: http://tinareber.com. Want to send me a private message or have a question? Send me an email at authortinareber@gmail.com.